It’s back to school time and the transition can be brutal. Remembering what to take out of the house, getting stuff done once you’re home, and getting to bed on time can feel harder at this time of year than any other. Make your family’s life easier by creating checklists. Introducing checklists when kids are little builds a foundational skill that will serve them throughout their entire lives. They start by learning how to keep track of themselves and their things. 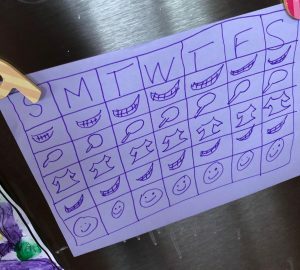 As kids get older, checklists can transition to a homework calendar or charts to track chores or goals. Tasks that should be done every day or at a particular time of day: Brush teeth, pack backpack and lunch. Items you find yourself reminding your child about – get this, don’t forget that. Things your kids consistently ask you to do, help with, or find. Regularly forgotten items : homework, water bottle, sweatshirt, permission slips. What makes you rushed or late. What causes stress, fights, or tension. Setting up checklists for kids empowers them to do things on their own and helps regular tasks become routine. As a bonus, you won’t have to repeat yourself and your kids will still know what they need to do. Checklists are especially helpful for young children trying to learn routines, kids who have their minds on many things and so don’t always remember the details. Checklists are also great for transition times, like the beginning of a school year, when you’re creating new habits or trying to get back into old ones. And while the title of this post is checklists for kids, you may want to consider creating some for yourself too. Getting out of the house with your kids plus what you need can be challenging, so give yourself a little help while you’re at it. You may decide on different locations for lists at different times of day. Bedtime might be in the bedroom or bathroom, while a morning checklist might go in the kitchen or entryway. Picture Checklists: You can start as early as two or three with picture checklists that include images of clothes, a toothbrush and a toilet. A Piece of Paper with a List on It: You don’t have to be fancy. Just write or print our your list. Laminated Lists: You can laminate the list and have your child check things off with a dry erase marker as they go. Sheet protectors work for this too. Magnet Board Checklist: Print out pictures on magnets so your child can move them from To Do to Done. Checklist Apps or Programs: I’m a fan of paper myself. For those of you who like a good app, here’s Hubspot’s Top 10 Best To Do List Apps for 2018. You can track which things are being forgotten in the first couple of weeks of school and create a checklist with just those things. Don’t make this a big job for yourself. If it’s fun for you to search images, print them on magnets and hang a board in pride of place, do it. If you want to sit down and draw what your kid needs to remember and you can hang up the checklist in five minutes, so that. The point of checklists is to make your family’s life easier. Let me know how it goes. If you’d like help setting up systems for your home, organizing a room, or otherwise getting yourself and your family organized, contact me. Subscribe to the spaceWise blog feed. Check out spaceWise on Yelp.